Always sure to capture the spirit of the time, the Alfi is constantly reinventing itself in combining top quality, ergonomics and functionality with that certain 'je ne sais quoi'. 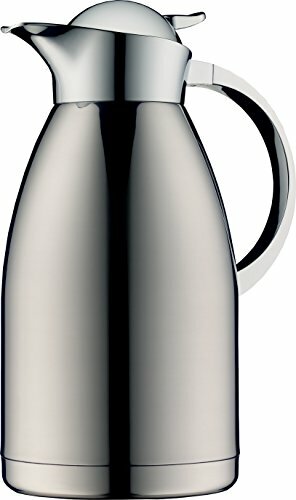 Whether it's the "Doublette", with two mountable mugs from the twenties, the typical fifties vacuum carafe or the spectacular "Auto-Imbiss" of the sixties American Lifestyle: alfi has always fascinated with unusual and original products that are suitable for daily use yet by no means mundane. Available in 90 countries, Alfi products have become indispensable for specialist retailers, the hotel trade and the catering business throughout the world. "Fresh. Hot. Cold" is a slogan and a promise alike: Alfi products are clever innovations in serving systems, intelligent drink solution to celebration from the table or the outdoors, from the office or on the move. Alfi has created an assortment of insulating products for every situation which are not only have a high functional value, an unmistakable design language, but also a genuinely iconic status and a "Made in Germany" prestige.